NASA, in a 2016 study, using work from its sister agency the National Oceanic and Atmospheric Administration, found that global temperature rose by 4-7 degree Celsius over a period of 5,000 years as the world moved out of the ice age. We are now on course for a 4-degree rise in temperature in a period of 200 years! From around the 1980s, there was the real possibility of a big hole appearing in the ozone layer of the atmosphere. The hole would let rays of sunlight stream right in with greater than normal intensity and cause a lot of harm. Those who knew about this were very anxious. Around this time, the use of sunscreen lotions to protect the skin started becoming common. Luckily we knew what was making the hole happen. Nations signed the Montreal Protocol in 1987 and clamped down on the use of relevant aerosols and refrigerants. Miraculously we managed to undo the damage and are well on the way to restoring the ozone layer. We now have a bigger problem on hand. The earth’s atmosphere is getting warmer and so are the water bodies on the planet. In a sense, this is not new. 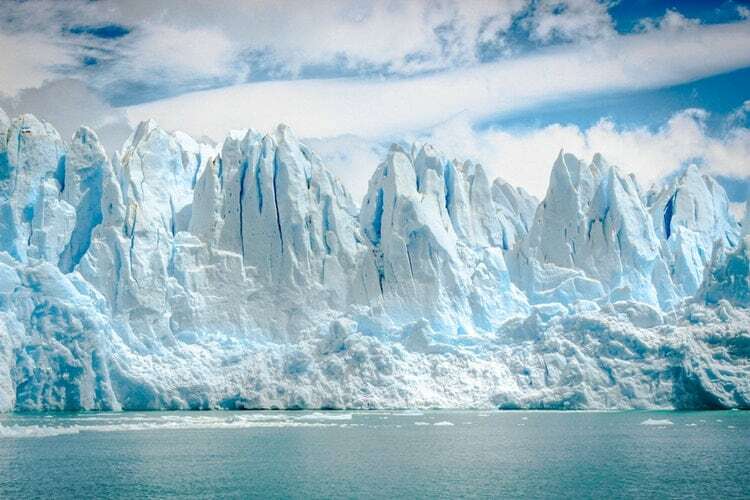 NASA, in a 2016 study, using work from its sister agency the National Oceanic and Atmospheric Administration, found that global temperature rose by 4-7 degree Celsius over a period of 5,000 years as the world moved out of the ice age. We are now on course for a 4-degree rise in temperature in a period of 200 years! So while temperature rise is a problem, the rapid rate of temperature rise is the real issue. Once again we know the agent that is causing climate change. But though we know that the problem is carbon in the air, every time we travel, eat, produce electricity, manufacture anything, we increase the amount of carbon in the air. The problem is that many people on earth are experiencing “development” and that means an increase in the emission intensity of human life and, simultaneously, the population of the world is growing. As energy from the sun reaches the earth, the increase in carbon in the air traps more energy in the atmosphere than before and disrupts the balance. This heat energy is distributed around the globe by winds, ocean currents and other natural phenomenon and the weather patterns around the world are altered. In the last couple of decades, we’ve noticed how rainfall patterns have shifted, how extreme weather events have become more frequent, how storms are occurring in places where they were unheard of before and how the word “tsunami” has suddenly become a part of our vocabulary. We’ve been emitting carbon for centuries. Just that the quantum has been much lower and we’ve had safety valves such as trees and oceans that would absorb more carbon than we would emit. As our emissions increased, we reduced the number of trees and ruined the plants in oceans that would absorb carbon through lifestyle choices we made. Each time we cut down trees we not only reduced our carbon sequestration ability, we also released trapped carbon from the tree into the air. The oceans got warmer and that reduced its ability to absorb carbon and we haven’t even got started with the effect of plastics yet. As the oceans are getting warmer, the glaciers and polar caps are melting. This is releasing huge amounts of trapped carbon into the air. As are the huge forest fires that seem to be occurring more frequently and in more places than before. According to the annual assessment of the Global Carbon Project (GCP) released in October 2018, carbon dioxide (CO₂) emissions from fossil fuels and industry were projected to rise between 1.8 percent and 3.7 percent. This takes global aggregate CO₂ emissions to a new high of 37.1 billion tonnes. The strong growth is the second consecutive year of increasing emissions since the 2014-16 period when emissions had stabilised. Further growth in emissions from the use of coal, oil and natural gas suggests that CO₂ emissions will increase in 2019. Nations have come together even more strongly than they did at Montreal and have signed the Paris Accord in 2015. 195 countries have signed the Accord viz. 46 who signed the Montreal Protocol. While the 46 signatories were able to do enough to deal with the ozone challenge effectively, only time will tell whether we the people who live on this earth will be able to tackle carbon, today’s climate change agent. Anirban Ghosh leads sustainability at the $20.7-billion Mahindra Group.